The community of Pinebrook is located off of Moran Road, just south of Blue Lake Springs. The roads winding up through the subdivision give it a true mountain atmosphere with a wide variety of terrain. 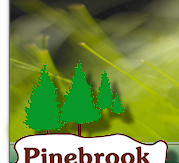 Pinebrook dues at $204.00 per year are mandatory and provide owners with use of a small private lake, clubhouse, baseball field, sand volleyball, half-court basketball and family barbecue and picnic area. RV hook-ups are also available for $10.00 per day. Water is obtained through Calaveras County Water District and the homes are on individual septic systems. Tell them you found their business on the ComeToArnold.com website! Website sponsored by the Greater Arnold Business Association/GABA for the benefit of county residents, visitors and the local business community.